Considering the ‘House as a System’ acknowledges that components are interdependent and affect not only the functioning of other components, but its structural integrity and the comfort, safety and health of the occupants. One critical element to consider with ventilation is to keep the building at a neutral or slightly positive pressure. Pressure lower than outdoors allows outdoor air to be pulled into the home along with humidity and airborne contaminants in an uncontrolled manner having unintended consequences. Temperature differences between inside and outside (stack effect). Exhaust only ventilation – range hoods, dryers, bath fans. To ensure that a home has a balanced or slightly positive indoor air pressure relative to the outside, the RecoupAerator Pressure Controller actively monitors the outside vs. the inside air pressure and makes necessary adjustments to the air flow. This feature works with the unit’s two blower motors. 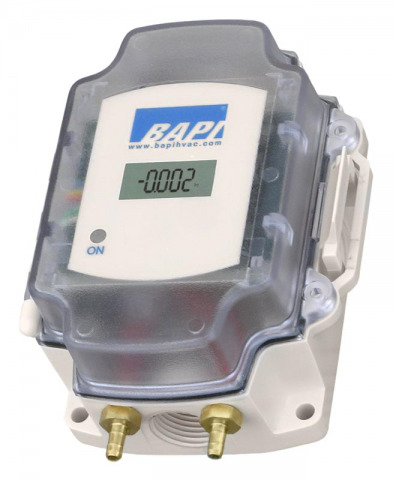 Using a pressure transmitter along with two pressure sensors comparing the indoor vs. outdoor pressure, the RecoupAerator reduces the outgoing air flow as a means to reduce a negative indoor pressure condition. If your home has a negative air pressure, it can cause humidity to condense inside your walls and create a breeding ground for mold, add to the accumulation of dust and dirt, as well as contribute to the stack effect, open combustion gasses spillage, and bring in fumes from attached garages. All of which can cause poor indoor air quality (IAQ), which can result in irritation of eyes, nose and throat, headaches, fatigue, a susceptibility to colds and flu, as well as other illnesses. Over the course of a day it will maintain a house at a neutral or slightly positive pressure. Learn more about this pressure contrller for the 200DX by downloading our Pressure Control installation manual.